Titan Trade YouTube - Expand Your Trading Know-Hows! Whether you want to start with the basics or skip ahead to advanced concepts of binary options trading, our Titan Trade YouTube channel offers a comprehensive mix of educational videos and tutorials that help you maximize your trading potential. All these videos feature top trading tactics from the market experts with clear and concise discussions ranging from the fundamentals and philosophy of binary options trading to advanced strategies and market trends. Our YouTube channel was designed for traders at every level, be they amateurs or professional traders. Get to know the winning strategies, identify your personality when trading binary options and learn how to manage your risks. You can watch the videos as much as you want with no restrictions. With Titan Trade YouTube videos readily available, you’ll never have a hard time learning how to trade binary options in our platform. 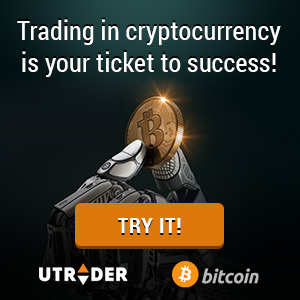 Become a pro trader in as fast as few minutes! What to find in Titan Trade YouTube channel? There are numerous videos about binary options trading at Titan Trade, and these videos are divided into three different topics: Beginners, Advanced and Trading Platform. Beginners. This section covers introductory topics about binary options and answers the most basic question of all, “What are Binary Options?” It also discusses the lucrative benefits of online financial trading as well as the risks involved when trading. Tips on how to identify your personality as a binary options trader are also available. Techniques on how to manage your emotion towards making a trading decision are also provided for your reference. Learn as much as you can about how different markets impact each other; stocks, commodities, Forex and indices. Advanced. What are the types of market analysis? What are market trends? What is passive and aggressive trading? Learn the importance of market trends and analysis when placing your trades. Discover various trading techniques such as the money management theory, pairing, double trade and reversal strategies. This knowledge will enable you to make better and informed decisions when various economic figures are released. Trading Platform. Know the ins and outs of Titan Trade trading platform as well as the features and assets that we have in store for you. Choose from the trading instruments available in our platform; Call/Put, One Touch, Short-term and Range. In addition to these popular classics, we also have innovative features such as the Double Up, Roll Over, Sell Option and Option Builder. These features offer immediate execution once activated, creating a thrilling and inviting trading experience for traders at every level. Always remember, the more informed you are, the higher your chances of trading successfully. So don’t waste your time, sit back, relax and watch our Titan Trade YouTube videos today! Click here to subscribe to our YouTube channel.